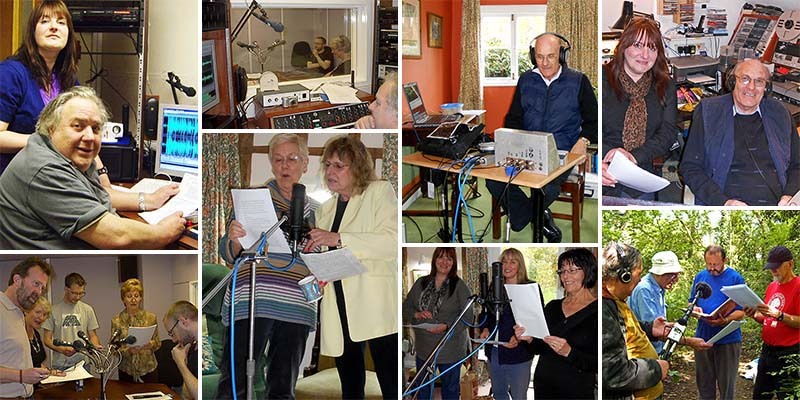 In 2018 Essex Audio Theatre celebrates 25 years of performing and recording radio drama. 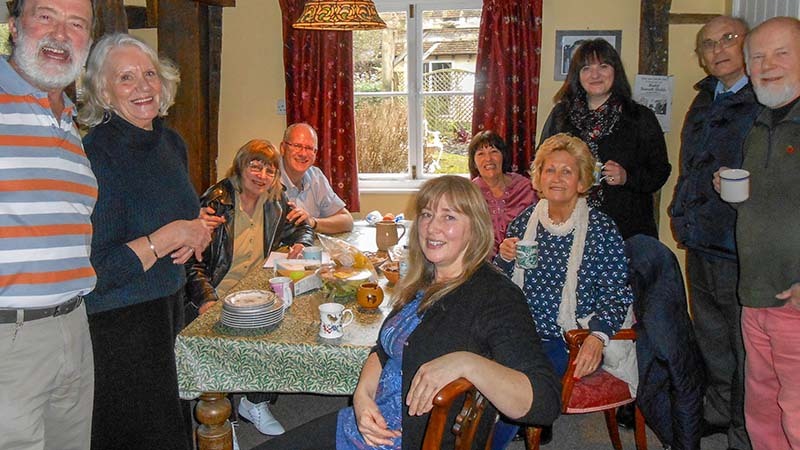 Many of our plays, now numbering over sixty, have been written by members of the group, and we are fortunate in having a retired Marconi sound engineer, John Rhodes, to carry out the technical side of our productions. Previously recording and editing had been carried out by the late Dennis Rookard, who founded Hosiprog to provide drama and features for hospital radio, audio magazines for the blind and community radio stations. In 1994 when EAT was founded, we became part of the Hosiprog family, and recordings took place in the Old House Arts Centre in Brentwood High Street, and latterly in the subterranean studio located in Brentwood’s council offices. Nowadays we mainly record in a quiet location in the home of one of our members. To uphold Dennis’ legacy, all recordings are free to enjoy and they may be broadcast freely by voluntary and community-run radio stations. The plays we have recorded are all listed on the website, and a selection are available to listen to. We do hope you will take the opportunity to listen to some of them! We are always glad to be joined by new members. The advantage of acting for radio is, of course, that you don’t have to dress up, worry about hair and make-up, and... most attractive of all, you always have your script in front of you! In addition to actors, we also need writers and directors! We have a great deal of fun rehearsing and recording, and over the years, have become a bit like a family! With the Internet now providing a global audience, EAT is unique in providing opportunities for those passionate about radio drama!